Hero Bunnies are joining the hollow bunny line up to save Easter, one basket at a time. Everyone says the ears are the best part of the chocolate bunny. Three creamy chocolaty ears to nibble on. Decorated Double Crisp® Chocolaty ‘n Smooth…Crisp ‘n Crunchy candy. A delicious mix of Smooth & Creamy, Double Crisp and Peanut Butter flavors, perfect for filling all those baskets! Fill those Easter baskets with delicious treats from RM Palmer! RM Palmer has some of the best chocolate treats around, especially come Easter time. I had the pleasure of checking out the delicious chocolaty treats above and I must say, they'd make some amazing treats for Easter! 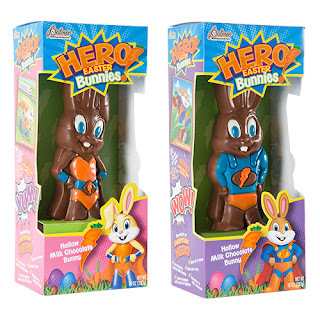 Hero Bunnies from RM Palmer are totally adorable! Everyone know you must have a chocolate bunny in your Easter basket. 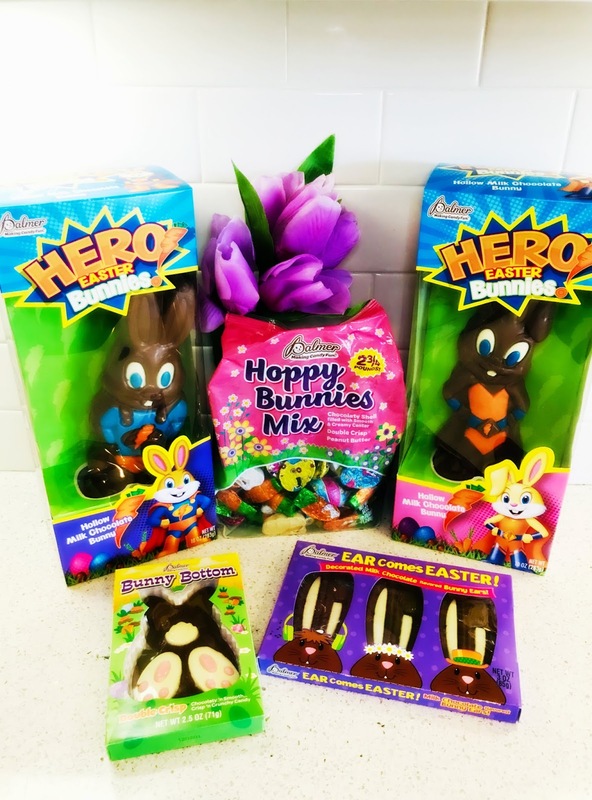 These adorable Hero Bunnies are the perfect size for kids and have a fun hero theme that kids will love. They also taste incredibly delicious! RM Palmer's Ear Comes Easter sure do make some cute Easter basket additions! 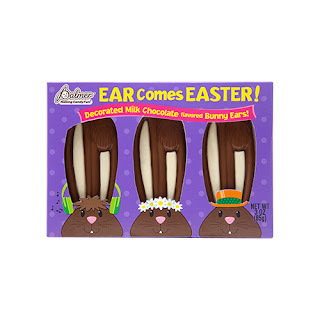 Each pack comes with three creamy chocolaty ears that both kids and adults will love. They're adorable and the perfect chocolate treat for Easter! 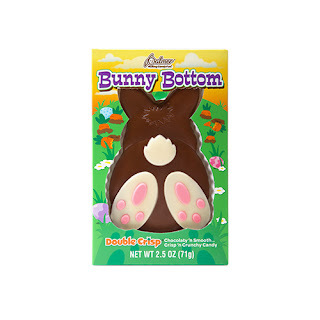 Bunny Bottom from RM Palmer is a super fun treat for Easter! My kids thought it was funny, adorable and totally delicious. They're the perfect crisp ‘n Crunchy candy for Easter! 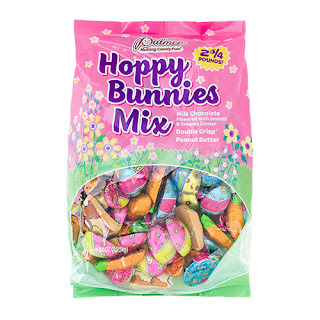 Hoppy Bunnies Mix from RM Palmer is the perfect mix for all chocolate lovers! The mix comes with Smooth & Creamy, Double Crisp and Peanut Butter flavors and are the perfect size for Easter eggs. They're delicious and satisfy any chocolate craving just right! RM Palmer has all the delicious treats you need to fill those Easter baskets!